As we already mentioned, ice hockey is considered an important international sport. Due to its immense popularity, a wide range of tournaments are being organized around the world, including national leagues and international championship competitions. From a bettor’s perspective, this presents an abundance of bet markets and a generous selection of betting opportunities to choose from. Before we provide a brief description of all the main tournaments, it’s important to know that the governing body for ice hockey on a global scale is the International Ice Hockey Federation. This institution is responsible for organizing and regulating international ice hockey tournaments as well as keeping the world ranking. At the present, the federation includes 74 national associations. The Winter Olympics is by far the most prestigious ice hockey competition in the world. Held once every 4 years, the tournament features events for both men and women. Only the top 12 ice hockey national teams are allowed to participate. Qualifications are being determined using the IIHF world ranking system. The format of the competition follows a preliminary round and several elimination rounds. During the preliminary round, each team plays against every other team for a total of 18 matches. According to results only 8 teams remain, which will play elimination rounds to determine the gold, silver and bronze winning teams. Another major tournament is the Ice Hockey World Championship. Held annually, the competition is the largest men’s ice hockey tournament in the world. 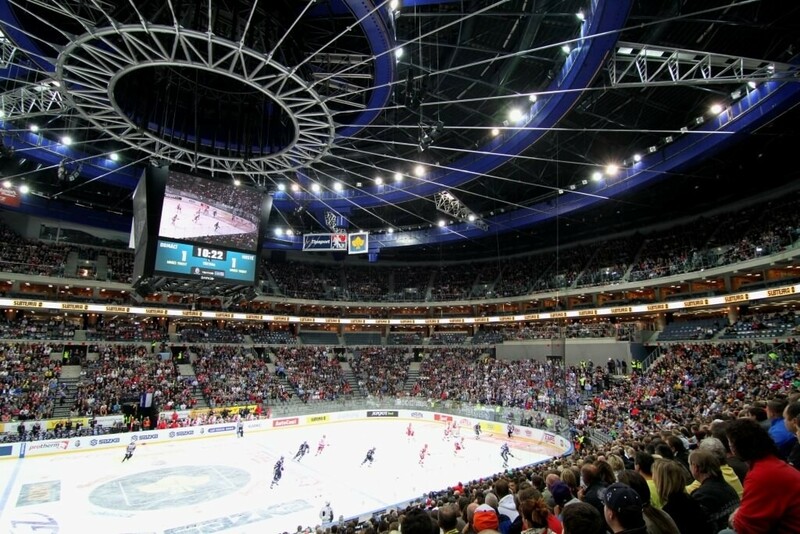 According to the IIHF annual report, the event was broadcasted in over 160 countries with a cumulative TV audience of around a billion viewers. The competition features a minimum of 40 teams divided as follows: 16 teams in the main championship group, 12 teams in Division I and 12 teams in Division II. The format consists of a preliminary round until 8 teams remain, followed by playoffs and finals. 2015 World Championship was won by Canada along with the 1 million USD prize (£673,00/€900,000) which was awarded to the team that won all ten games of the tournament in regulation time. The National Hockey League or NHL is a major professional ice hockey league, composed of 30 member clubs from the United States and Canada. Since it’s a different ice hockey organisation, the NHL rules differ from the norms of the International Ice Hockey Federation. An NHL season is divided into a regular season from October to April and a postseason when the playoffs start. The competition is held annually and at the end of each season, the league playoff champion team is awarded the Stanley Cup and a $3.75 million cash prize. The NHL is attended by more than 21,000,000 live spectators and has an average of 5.8 million TV viewers per game. Other major ice hockey tournaments include: the World Cup of Hockey, which starting with 2016 will be held once every four years, IIHF World U18 Championship, IIHF World U20 Championship, the World U-17 Hockey Challenge, the World Junior A Challenge, the World Women’s U18 Championships, the 4 Nations Cup and the annual Euro Hockey Tour.